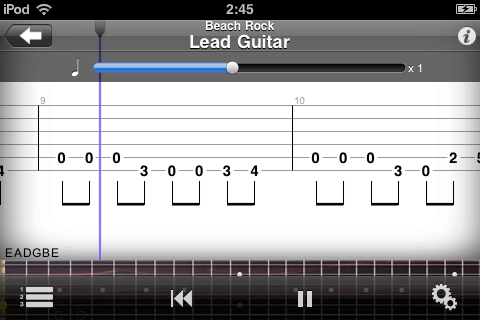 Arobas Music released the Guitar Pro mobile app for iPhone and iPad in 2012, especially for Apple lovers. The software is compatible with iPod Touch, iPad and iPhone. It allows you to read and play the tablatures in gp3, gp4, gp5, and gpx formats (Guitar Pro 6 format). In addition, there is an option that allows recording your own tablatures and editing them. You can download any files through Wi-Fi and iTunes (for your convenience, you can use the search engine and filters in the libraries). Playback settings are limited to the required minimum. The metronome will be with you anywhere and adapted to your needs. Stress the first beat and easily change its soundbank, so you do not get tired of its gentle company. You can hide the playback cursor, have the guitar fretboard visible, or loop any section you want, at any time. Your choices of possible settings for your tabs are limitless, including acoustic or electric guitars, basses, keyboards, strings, voices, brass, winds, and percussions. 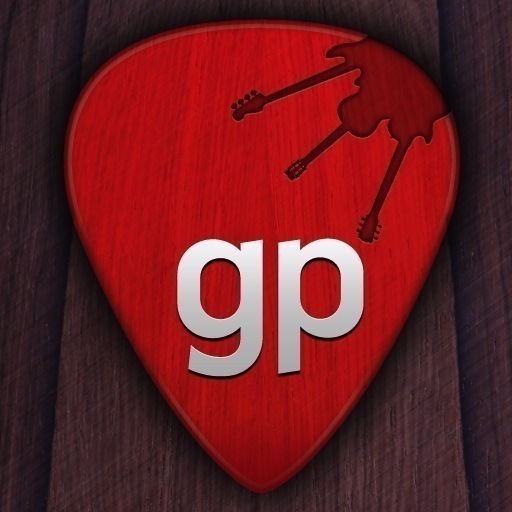 The Guitar Pro application allows you to change any of those in real time to create new arrangements. The option to record your own tablatures allows you to record your melody at any time. The software let you to select a numeric value from 1-9 using the buttons, as well as you can change the length of a note or pause. Also, you can use accidentals and put in some effects, such as vibrato, bending, etc. 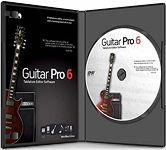 Thus, Guitar Pro for iPod Touch, iPad and iPhone allows you to perform most of the necessary operations with the tablatures, but they are limited, especially when you write or edit your scores. 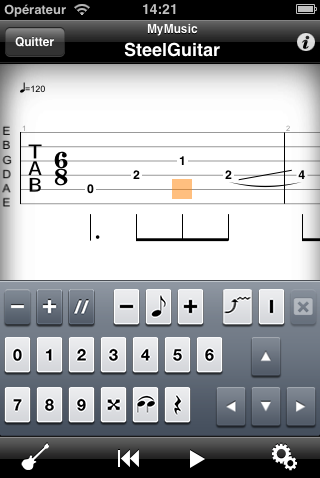 However, Guitar Pro iPhone / iPad version lets you to do music in any situation, whether you are at a boring lecture or travelling somewhere, this software is very useful for all musicians.